Crescent Industries has a competitive advantage because we aid our customers in product development, from the initial design and our comprehensive DFM analysis with mold flow simulation through production and continued support until the end of the product life cycle. With over 150+ years of combined experience, our engineers have plastics and plastic tooling expertise therefore are capable of assisting customers whether they have a simple or complex project. 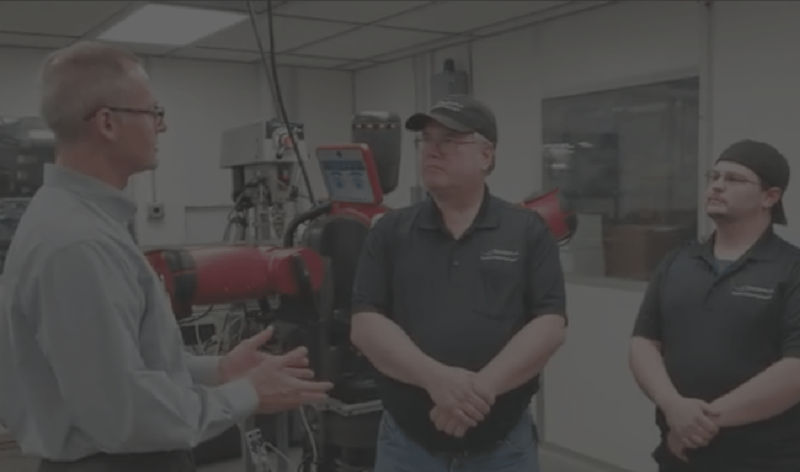 We work directly with your engineering teams in order to provide guidance on the manufacturability of parts ready to be custom injection molded or to create a mold design with the proper actions, gate locations, temperature control and venting. With our continued investments into engineering resources, our team has the expertise and technical knowledge to assist with your products across various stages and complexity. We love to get involved in the earliest stages of product development to make sure that our customers have the plastic engineering expertise avoiding any costly hiccups in the development process. At the beginning of the design process, it is important to seek first-hand knowledge of the injection molding process which can lead to better overall quality for your components. We utilize 2D and 3D computer generated files to maintain the manufacturability of parts ready to be molded or to create a mold design with the proper actions, gate locations, temperature control, and venting. Our engineers can provide consultation to determine the proper raw materials for your plastic component’s specifications and requirements. As a function of product design review, we invested resources into 3D printing (Additive Manufacturing) services to provide clients with a rapid prototyping option all under a single supplier. To ensure optimal results, we utilize Sigma Soft mold-fill simulation software; a computer aided 3D simulation of how the mold fills, packs and cools during the injection molding process is generated. This allow a proactive approach to processing problems or potential concerns that can be solved before manufacturing begins and provide insights into potential manufacturability and quality issues. By completing a comprehensive DFM analysis, we are able to determine the optimal; gate location, wall thickness, rib locations and cross sections, cooling line locations, and much more. As a function of product design and development, we offer 3D printing (Additive Manufacturing) services allowing for net build sizes of 19.3″ x 15.35″ x 7.9″ with a layer thickness that includes horizontal build layers down to 0.0006 inches (16 Microns) and a build resolution of 600 dpi for the X & Y axis and 1600 dpi for the Z axis. This is ideal for prototypes, samples and small production runs since they are produced with production grade thermoplastics; painting, gluing, sanding, drilling and bonding with other 3D printed parts can be completed just like any plastic component. In addition, our engineers can provide consultation to determine the proper raw materials for your plastic component’s specifications and requirements.